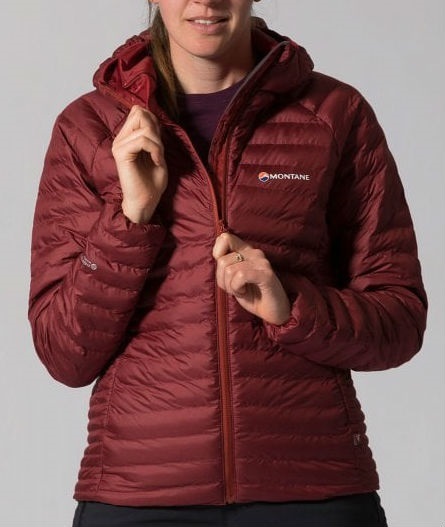 A lightweight and packable women’s jacket insulated with PrimaLoft® ThermoPlume technology from Montane, ideal for a wide variety of outdoor winter activities. 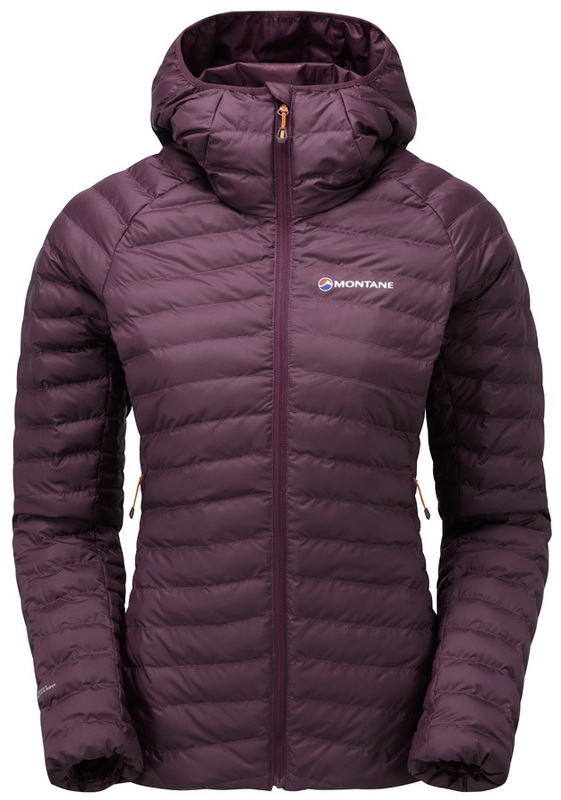 With an outer of PERTEX® QUANTUM ECO this jacket from Montane is windproof and water resistant. 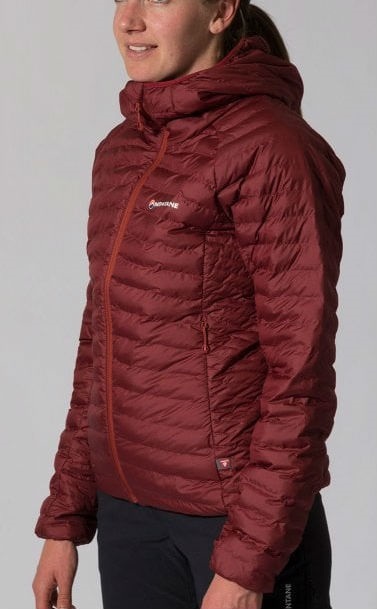 The use of PrimaLoft® ThermoPlume synthetic fill, which mimics the loft and fill power properties of down, alongside the fast drying warmth of traditional PrimaLoft® insulation, means the Phoenix jacket is an exceptionally comfortable and warm jacket ideal for a range of winter activities which will keep you toasty and dry no matter what you choose to do. 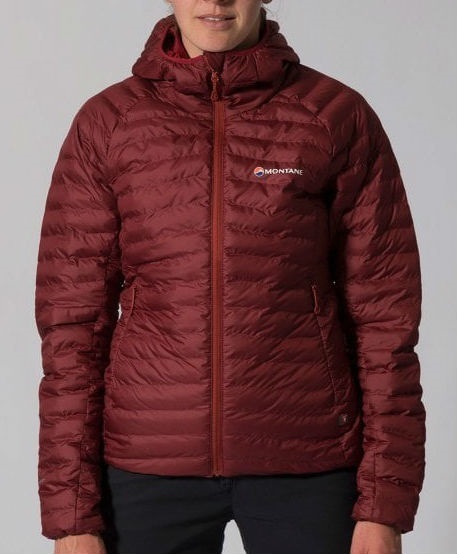 On top of this, the Women’s Phoenix jacket has PEAQ Synthetic ECO lining, which is beautifully comfortable against skin, and is also highly breathable and fast drying, as well as having a micro baffle construction which allows for a close body fit and dynamic freedom of movement, meaning you are protected and comfortable from the outside in. Articulated arms with tailored engineering reduces hem lift during high reach movement allowing the material to move with you for active comfort. 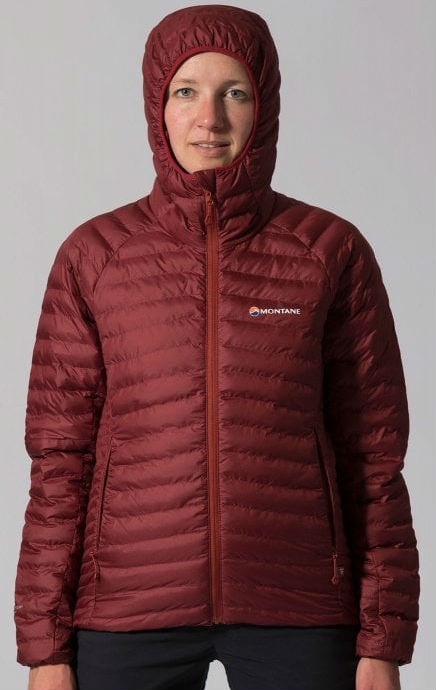 An insulated hood is designed to be worn under a climbing helmet, allowing you to keep yourself warm and dry while climbing even if the weather isn’t fantastic. 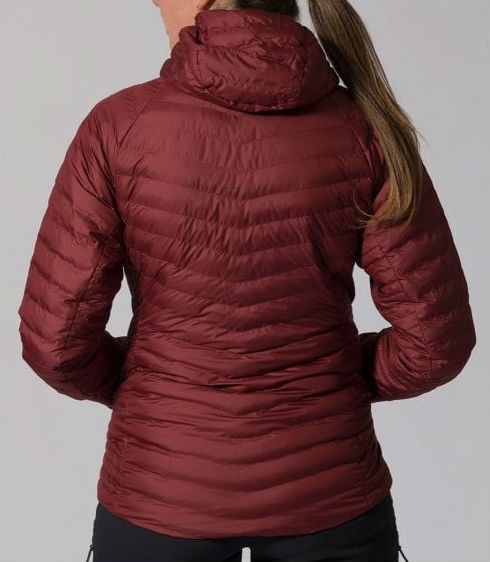 Two concealed hand pockets and a zipped chest pocket provide safe and easy-to-access storage for your essentials, or even a place to warm your hands up during colder activities. A microfleece lined chinguard protects your face from friction and soreness, and low bulk cuffs create a more comfortable and less restrictive fit, and feature internal lycra closure to prevent heat loss. 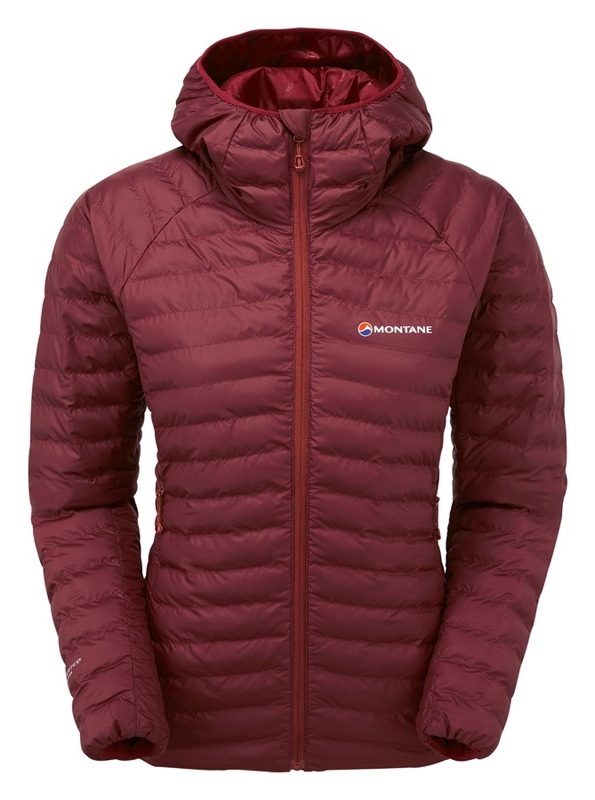 An elasticated hem prevents spindrift entry and heat loss, keeping you more comfortable and warm. 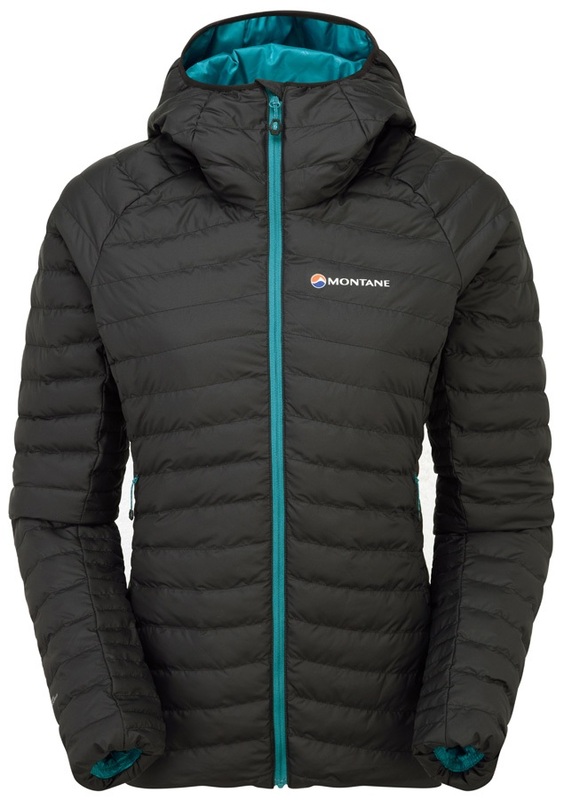 A super lightweight, packable and versatile jacket from Montane, that can be taken wherever you go and for a range of outdoor pursuits, such as mountain walking, trekking, alpine climbing, mountaineering, ski touring and many more.